Giovanni Perin (1987, Padova, Italy) started playing the piano at the age of eight, and six years later, he passed the audition for the percussions class in the Conservatory of Classical Music, where he studied with Alberto Macchini. He attended many masterclasses in jazz piano (with the jazz boppers Barry Harris and Giovanni Ceccarelli), vibes and marimba (with David Friedman, teacher at the Jazz Institute, in Berlin, Dave Samuels, teacher at the Berklee Music School, in Boston, Ney Rosauro the director of percussion studies at the University of Miami, Johan Bridger, teacher at the Royal Danish Academy of Music, in Copenhagen, and Andrea Dulbecco, teacher at the Conservatory of Classical Music, in Milan), timpanis (with David Searcy, ex-timpanist of “La Scala” theatre, in Milan), ethnic and Latin-American percussions (with Arnaldo Vacca and Marco Catinaccio). In the summer of 2006 he went to the Berklee School of Boston to attend the “Five Weeks Summer Program”, where he studied vibes and marimba with Ed Saindon, being selected for the high level jazz class. In 2010 he graduated with honors at DAMS (the Drama, Arts and Music Studies Faculty at the University of Padua) and at the Adria Conservatory of Classical Music (Bachelor’s + Master’s in percussions). In 2014 he also graduated with honors with Dave Friedman at the Jazz Institute of Berlin (Bachelor’s in jazz vibraphone and marimba at the University of Arts) and he successfully completed his Jazz Master’s at the Conservatory of Music, in Rovigo (Italy). He has won many prestigious jazz competitions such as the National Prize “Jazz Lighthouse” in Genova (1st prize), the National Prize “Roma Jam Session 2007” (3rd position in the soloist section), 1st place for the public and 2nd overall plus a scholarship in the International jazz competition “Massimo Urbani”, in 2011, the National Award “Chicco Bettinardi” 2015 as best young band Cd with “Oirquartett”, and the National Award “Marco Tamburini 2016”: 1st Prize . He has played with many important international musicians such as Dave Samuels and Neil Leonard (teacher of the Electronic Music Department at the Berklee School, in Boston), Fabrizio Bosso, Vittorio Matteucci, Fuasi Abdul-Khaliq, Elias Stemeseder, Kelvin Sholar, Eric Vaughn … In August 2010, he was on tour in India with the Italian singer Chiara Beltrame, as a special guest of the rock indie group “Vinapra”, giving his contribution also for the launch of their new album. 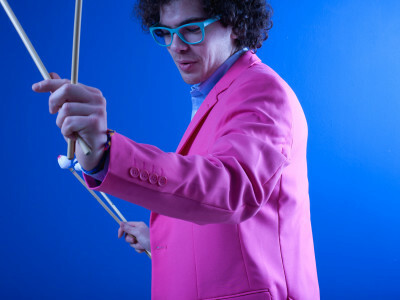 He has also played as vibes player and percussionist on the Italian national radio and on TV programs such as “Il Terzo Anello” and “Fahrenheit” at (italian RAI radio) , Parallelo Italia (Rai 3 Tv) Community (Rai World Tv), “Klassik Pop et Cetera” ( german broadcast Deutschlandfunk), Jazz Radio (Germania).. 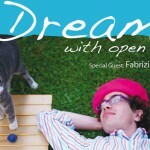 In 2011 he won the Zorzella Prize: a scholarship for the most talented young jazz player of the year and, thanks to Umberto Bonani, president of “Circolo del jazz” in Verona, Giovanni recorded, in the same year, “Dream With Open Eyes”, his first CD as a band leader, with the famous virtuoso trumpet player Fabrizio Bosso, as special guest. Since 2012, he is collaborating as a teacher with the website www.vibesworkshop.com, the biggest vibes and marimba online community in the world, giving online video lesson about vibraphone technique and jazz vibraphone playing. He’s also Professor of Percussion at the Musical high School in Padua (Italy). In September 2013, he toured Australia, where he had been invited to give masterclasses in vibraphone and marimba at Melbourne, Sidney and Canberra Universities. 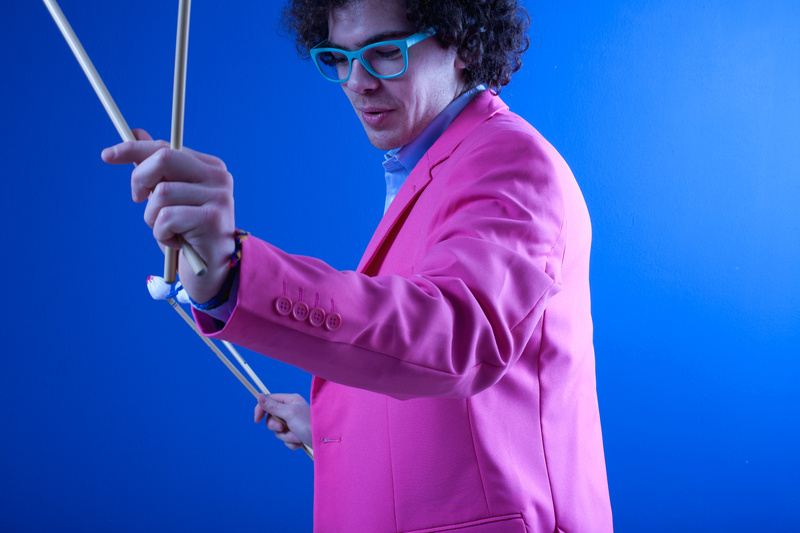 He has also played as classical percussionist with the “Orchestra di Padova e del Veneto” and in many prestigious classical festivals such as “Festival Internazionale di Portogruaro” with the famous percussion player Gert Mortensen.